Around New England: When (and why) is a house a home? Hancock, New Hampshire, writer Howard Mansfield is “fascinated by how houses succeed or fail to shelter us, body and soul.” In wide-ranging, always wise and often funny essays, Dwelling in Possibility: Searching for the Soul of Shelter (Bauhan Publishing, September 2013, $22.50, paperback) explores the mystery of why some houses “have life — are home, are dwellings, and others don’t.” Anyone who has ever searched for a house knows “within seconds upon entering a house if it is the place for us.” So, why it is then that we Americans continue to build thousands of houses, but not many homes? This provocative book thus explores why we have The Home Depot, but have lost the quality of dwelling. In previous books, such as In the Memory House, The Same Ax, Twice, and The Bones of the Earth, Mansfield has shown himself as one of the keenest observers of our region’s uniqueness and how we relate to the past and to the land. And like so many notable New England writers (I see him as the successor to Vermont’s Noel Perrin), Mansfield is from somewhere else, and so sees his habitat with an outsider’s objectivity along with the convert’s adoration. 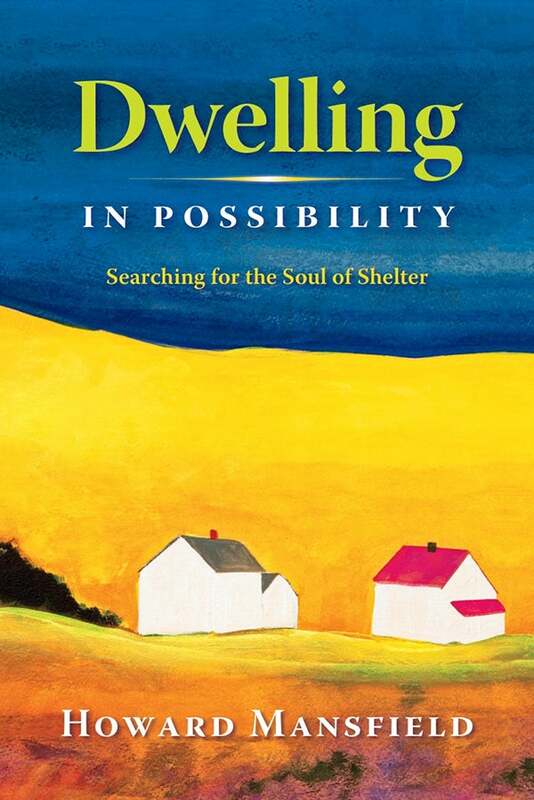 One can dip into Dwelling in Possibility anywhere, but Mansfield opens with a personal story about he and his wife, children’s book author Sy Montgomery, living without power in the Great Ice Storm of 2008. The lack of electricity caused them to live in their old farmhouse as their predecessors had; they discovered “gifts of found time,” and marveled at the “wonders of low tech.” This allows an extended riff on hearths, air conditioning, and central heating. And such thoughts lead on to issues such as clutter, storage, and how only the rich can afford minimalism.